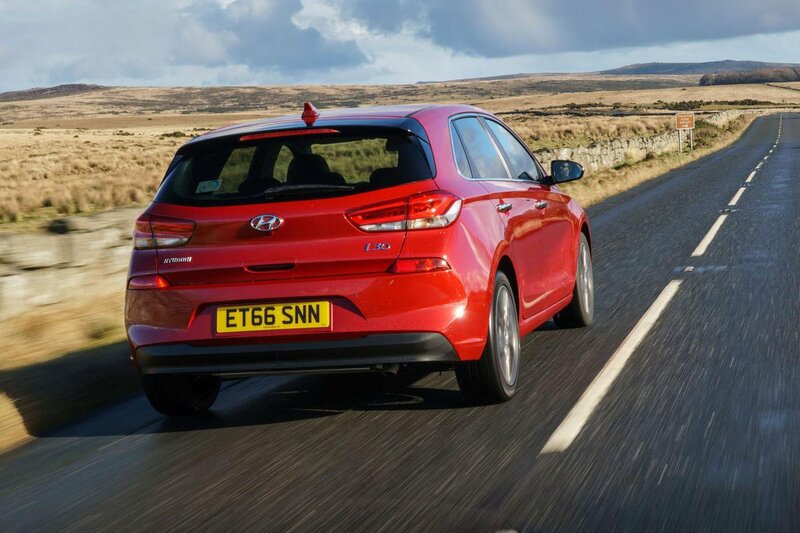 Hyundai i30 Boot Space, Size, Seats | What Car? 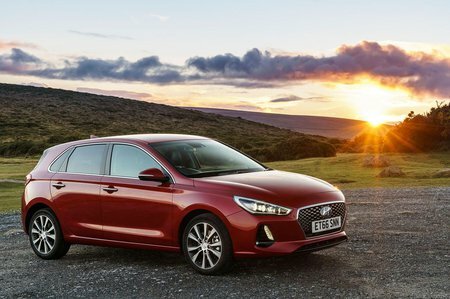 Generous proportions means the i30 is roomy in the front; you’d have to be very tall to feel hemmed in and there’s enough room for long legs and big feet in the footwells. There’s also plenty of storage in the front of the i30, thanks to large, deep door bins, a lidded cubby between the seats (on all but entry-level models) and even a couple of cupholders. There's enough head room for a couple of six-footers but leg room is tighter than in some rivals, including the VW Golf and the cavernous Skoda Octavia. 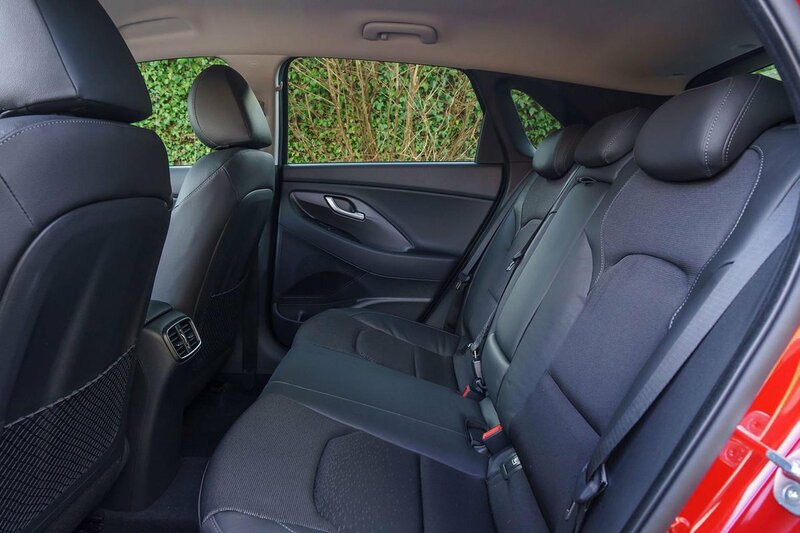 The rear seat itself is well shaped and comfortable, while an almost-flat floor (there’s a very small central floor tunnel) makes life more comfortable for someone in the middle seat than it is in many rivals. Rear storage is limited, with small door bins on both doors, although access to the rear seats is good thanks to decent-sized door openings. The i30 has 60/40 split-folding rear seatbacks as standard, but that’s the extent of its repertoire – the rear seats don’t slide or do anything else clever. There is a through-loading hatch on all but entry-level S models for long items such as skis, though. It’s easy to fold down the rear seats when you need more load space, although they don’t lie completely parallel with the floor unless you first flip up the seat bases. Meanwhile, front passenger seat-height adjustment is standard on all but entry-level S trim, although electric seat movement is available exclusively for the driver. The boot has a reasonably low lip and offers 395 litres of load space; that’s a little more than a VW Golf or a Seat Leon. It’s not a match for class giants such as the Skoda Octavia, though. With the rear seats folded flat (and the seat bases folded forwards), that volume increases to an equally impressive 1301 litres. Again, that's bigger than a Golf but dwarfed by an Octavia. The boot is impressively deep and a regular shape, too, with good access, although the load area isn't quite as long as you might imagine.